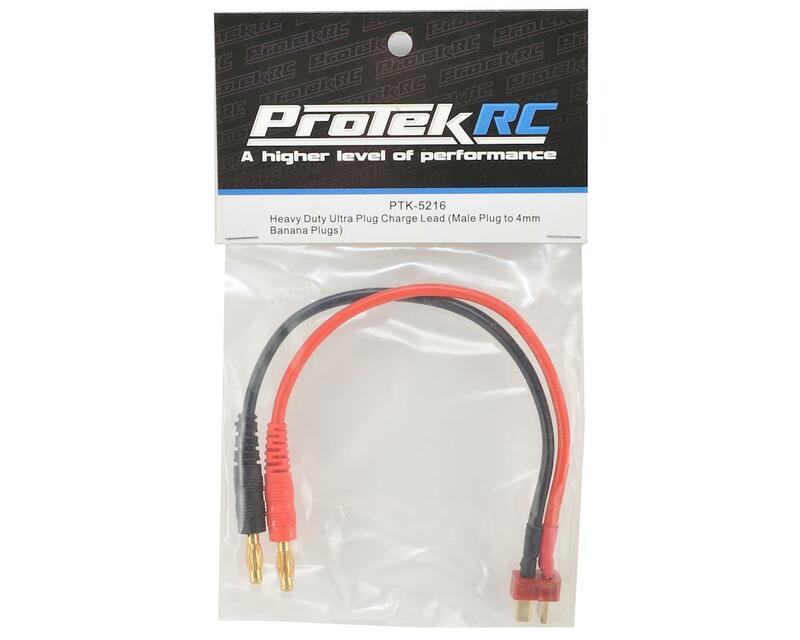 This is the ProTek R/C Heavy Duty T-Style Charge Lead, featuring a T-style ultra plug on one end connected to 4mm banana plugs with high quality 14awg silicone wire. 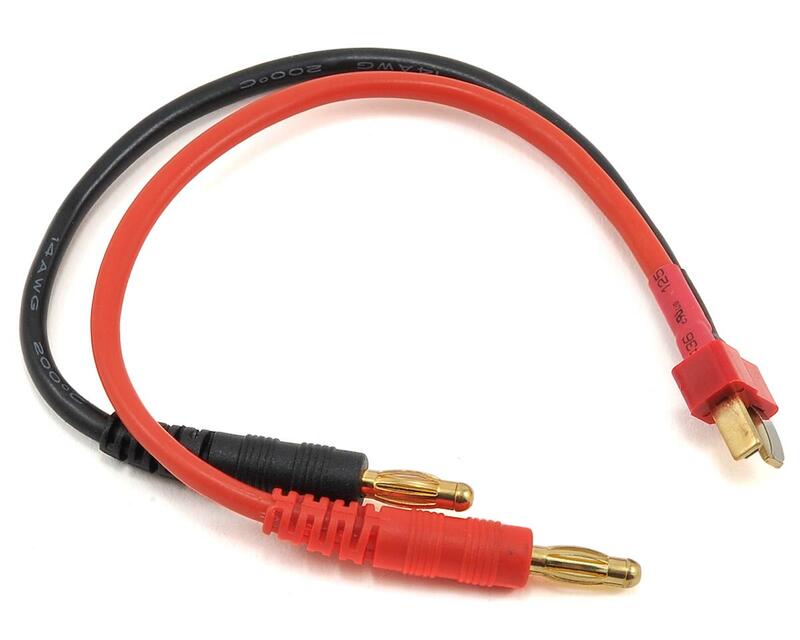 This charge lead can be used for heavy duty charging due to the 14awg wire, and can be used to charge at rates more than 20 amps. In total length, the lead measures 8.5 inches (21.6cm) long from end to end.